The band's personnel reads like a who's who of Canadian roots music, with members having played in some of the genre's most influential acts; (Jughead, Heartbreak Hill, The Creaking Tree String Quartet, The David Francey Trio, New Country Rehab). Recognized and respected in the profession, each player in the FHB is a sought after session musician. These days, it's rare to see a band that keeps the same personnel for even a few years. With the exception of one change in 2007, The FHB has had a constant line-up going on 11 years now. This is a testament to the friendship and deep musical bond that is shared between the members of the band – something that becomes obvious to anyone who attends a live FHB show. There are no stars in the band; each member is a featured singer and instrumentalist, whose strengths are supported by the rest of the ensemble. 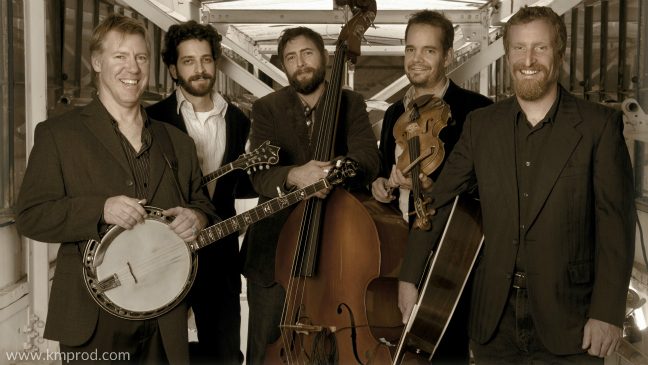 The Foggy Hogtown Boys always deliver a highly entertaining and diverse show; ballads, breakdowns, gospel quartets and lots of laughs! You can count on a thoroughly professional attitude any time you engage the band. Music is played on schedule and setup and tear down are done in a discreet and unobtrusive manner. They take care of all the details and ensure that everything pertaining to their performance, runs smoothly. According to the needs of your event, the band will arrive dressed appropriately; overalls and cowboy hats one day, suits and ties the next. They clearly understand that each event is different and they make their show fit the moment. They are as comfortable providing background music as they are performing in a concert setting. For more information and to book The Foggy Hogtown Boys for your next corporate or special event, simply contact us.